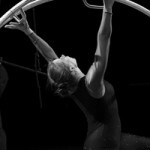 Home » Events » Advanced Circus Camp! 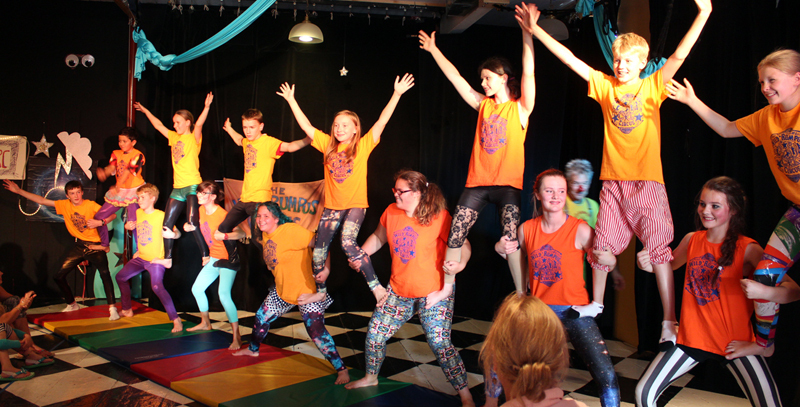 Since 2002 we’ve been offering kids ages 7 and up the chance to explore stilt walking, trapeze, acrobatics, clowning, juggling, tight wire walking, pantomime, physical theater, circus history and more! 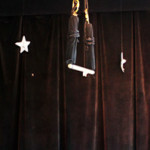 Our approach to promoting confidence and cooperation is action based: we emphasize focused development of circus skills while having fun together. Whether the skill at hand is balance, coordination, strength, flexibility or creative expression, students gain self-esteem, learn valuable lessons about teamwork and tolerance, and develop their physical and mental agility. We believe that everyone can benefit from laughter, working together, and turning themselves upside down. And we provide a safe and supportive environment in which to try new things, take risks, and learn to trust one’s self and others. Our week-long camps culminate in a performance for families and friends, a joyful experience which has given many Wild Rumpus Alumnus a positive start towards future performing, public speaking or leadership roles. What’s more, it’s loads of fun! 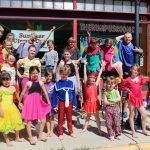 Advanced circus camp is a two-week program for kids ages 10 and up who have been to at least one week of “regular” circus camp, or by consent of the directors. Here’s more info about our circus camp program, and here’s more info about our SHUTTLE BUS FROM MADISON/MIDDLETON!